How much is Leyla Aliyeva Worth? Leyla Aliyeva net worth: Leyla Aliyeva is an Azerbaijan editor who has a net worth of $200 million dollars. Born in Moscow, Russia, Leyla Aliyeva attended Queen's College, London, and then went on to European Business School after graduating. 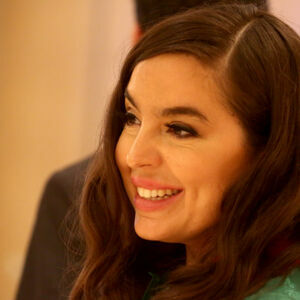 She is the daughter of Ilham Aliyev, the President of Azerbaijan. She earned her Masters at the Moscow State Institute of International Relations. She is the co-owner of SW Holding, the company that controls the majority of the airline industry in Azerbaijan. She is also the President of Azerfone, which controls 24% of the mobile communications market in Azerbaijan. She is the Vice-President of the charitable Heydar Aliyev Foundation, and is the founder and editor of Baku Magazine, a style magazine based in London. She is also the founder and director of International Dialogue for Environmental Action, or IDEA, a foundation dedicated to increasing youth involvement in sustainable development, especially in the South Caucasus.